The American Shakespeare Center announced its 2018/19 Artistic Year at an announcement party following a performance of Hamlet last Saturday night at the Stonewall Jackson Hotel. The Artistic Year runs June 2018 through June 2019 at the Blackfriars Playhouse in Staunton and across the eastern half of the United States with the 2018/19 Hand of Time Tour. The line-up will include 15 productions presented over 12 months in four separate repertory seasons. 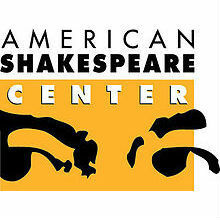 This year will include the world premiere of two new plays written for the Shakespeare’s New Contemporaries Project. Officially launched in April of 2017, the Shakespeare’s New Contemporaries Project will put two new plays on stage at the Blackfriars Playhouse in the Actors’ Renaissance and Spring Seasons. Winning titles will be announced in June 2018. The SNC Project undertakes to discover, develop, and produce plays that are inspired by and in conversation with Shakespeare’s work. The ASC selects companion plays through a blind submission process. The selected plays are performed in repertory with their Shakespeare counterparts. Winning playwrights receive a cash prize of $25,000 as well as funds to support their travel and housing for the rehearsal process at the ASC’s Blackfriars Playhouse. Based on audience feedback, and in an effort to make its programming more accessible, the ASC is making some adjustments to its pricing structure. In addition to removing added service charges and fees, the center is expanding its midweek local rush to include residents of Harrisonburg and Rockingham County, implementing a new flat rate $20 ticket for college students, and increasing discounts for youth ages 7-18 to encourage family attendance. The military discount has increased to 20% and a new 50% discount has been added for all K-12 teachers. Both discounts are available at all performances beginning in the new Artistic Year. Pay-what-you-will performances will continue to be held throughout the year. Subscribers will be able to use their subscription packages to reserve tickets online for the first time with a tool the ASC is rolling out on its new website. Other titles include the world-premiere production of Jane Austen’s Emma adapted by Emma Whipday; the restoration comedy The Man of Mode; the comedy of manners The Belle’s Stratagem; the Elizabethan tragedy Arden of Faversham; and Antigone, the ASC’s first ever production of a Greek play. A Christmas Carol and Every Christmas Story Ever Told (And Then Some!) return for the Holiday Season.